Choosing to wear contacts or glasses is a personal preference. You might like to wear glasses and contacts, obviously not at at the same time, to suit your mood or daily task where glasses are not convenient. 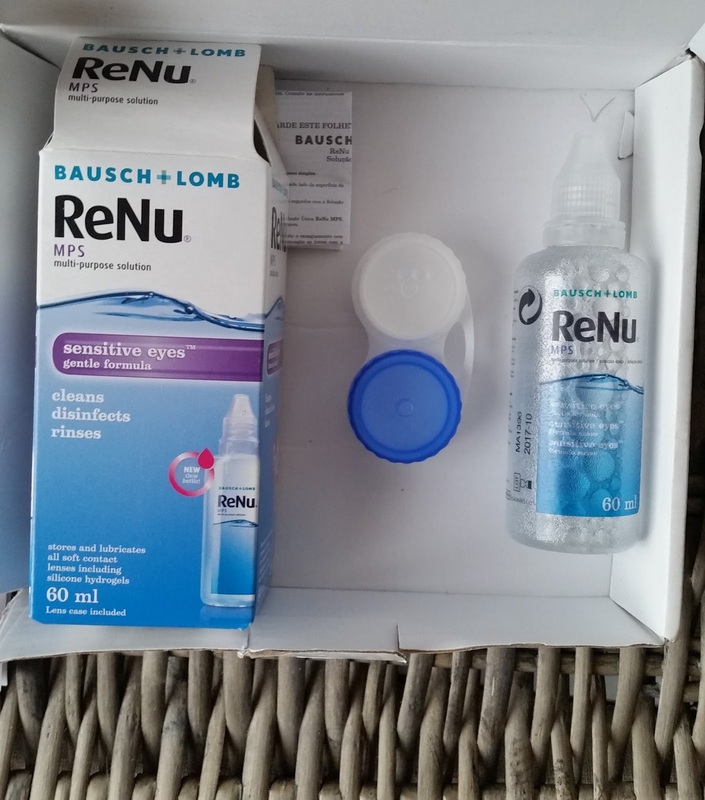 Beginners to contact wearing pros's, finding contacts at a reasonable price whilst also stocking your prescription can be an eye watering frustrating task. contactlenses.co.uk who offer many well known brands and also different contact lens types at a reasonable and affordable price. 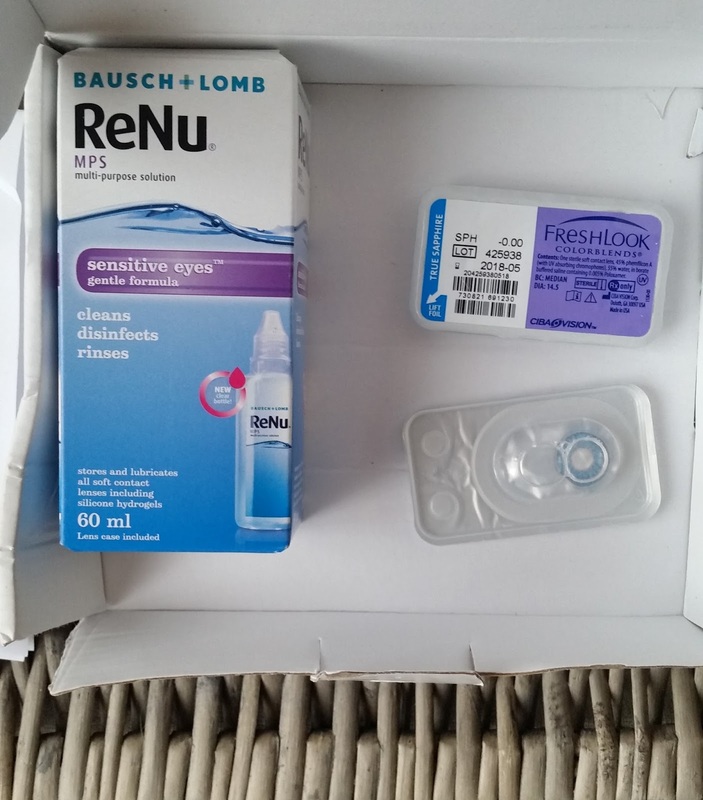 I was kindly sent the Freshlook Colourblends in True Sapphire and also the Renu all in one starter pack for sensitive eyes. Once you have chosen your superb contact lenses you are updated from the moment you order to the dispatch of your lenses, keeping the customer informed is great customer service! 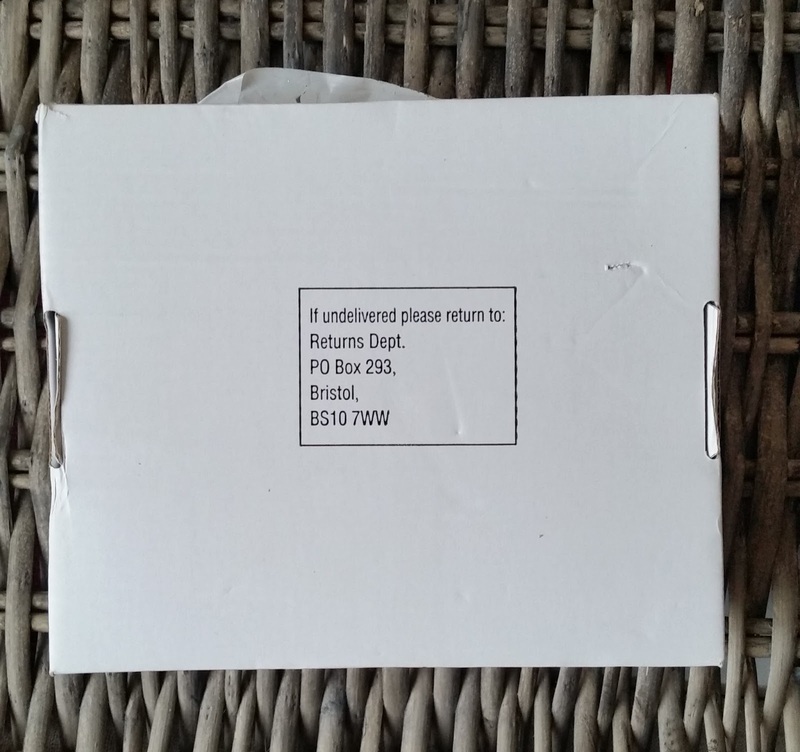 Your lenses arrive in 2-3 days and nicely packaged in a convenient letter box sized package, just in case your out the package will fit through your letter box. Inside is a receipt with handy do's and don'ts printed on the back, your lenses which are clearly labelled and sealed tight keeping them safe and clean, ready to be opened. Now being a novice with contacts and also having a slight squeamish feeling when it involves eyes, i was really eager to find out just how easy it is to put the contacts in and take them out. I have watched family members put contacts in and the process of keeping them clean, it really is important to keep contacts clean at all times and your hands! 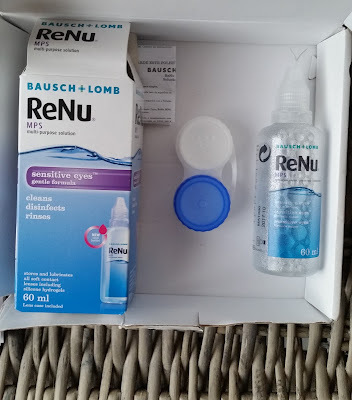 The Renu starter pack offers a storage case to store the lenses in and also the cleaning solution to help keep your lenses clean and eye friendly. The Freshlook Colorblends were really easy to to handle and apply to the eyes and more importantly so comfortable to wear. The first picture shows my natural eyes and the second picture with the true sapphire contacts in. The colour is a nice addition if you want to add a subtle touch to your eyes or make a statement, the choice in their wide range and on offer, is entirely up to you. 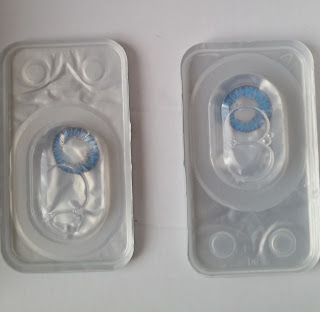 Contactlenses.co.uk offer the contact wearer a huge choice of contact lenses from a wide range of brands and also which contact lense type to suit your specific and preferred eye need. UK customers can enjoy free delivery and returns. Worldwide, postage starts from £6. X Neil.